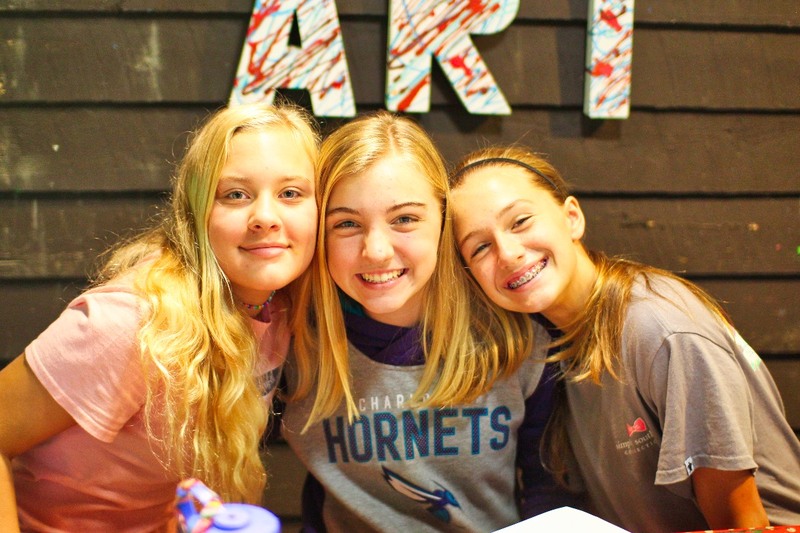 As the mini session girls spent their last day at camp, and the full session girls are now into the deep beauty of their camp experiences, the greatest gift of camp was felt strongly throughout the day: friendship. Girls spent the day making each other friendship bracelets, reflecting on the best moments of camp so far, and for some, made a few more wonderful memories before camp was over. I was struck how entire cabins of girls who had met each other just a week and a half ago have become best friends. Cabins have formed beautiful identities, some counting themselves off to the Seven Dwarves from Snow White, others sporting French braids all throughout camp. Some cabins respond to role calls with inside jokes, then laugh about how they are all in on it. However the cabin expresses it, special bonds have formed and each girl has an important role in her cabin. 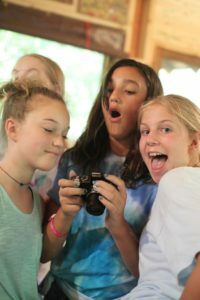 A lot of girls arrive to this point in camp and say things like, “I can’t believe I only just met you,” or “I am just so glad our paths crossed.” Behold the magic of camp. This closeness was celebrated today because today was Cabin Day! For Cabin Day, we do not go to our third and fourth activities, but instead, plan something fun to do as a cabin. For mini session girls, this was a great time to reflect on a wonderful and meaningful session. One junior cabin used the time to paint fairy houses and put compliments from friends inside of them. Another group tried to build rafts that could float on the lake! Some cabins spent the time scrapbooking and making compliment jars to be read on the drive home—memories that could last the year. 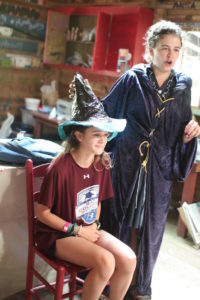 Another cabin had a special day at Hogwarts with Butterbeer (cream soda and ice cream), a sorting ceremony, and brooms for Quidditch. I saw a group of middlers going around the world—they decorated shirts in Paris for Fashion Week, had a safari in Africa (near the Alpine Tower), and finally went on a hike to the Costa Rican Rainforest (Rockbrook Falls) for an end to a perfect journey. Everyone had a great time as they bonded with their cabins. After Cabin Day, the fun just kept going. To celebrate Rockbrook’s birthday, we had a birthday party! The dining hall was decorated with old camp pictures from every decade camp has existed. The high-ups painted posters and decorated tables with tattoos that read, “HBD, RBC,” (Happy Birthday, Rockbrook Camp). Music from every decade played over the speakers, and we had a lot of fun dancing to songs we don’t usually dance to, like ‘The Twist’ and ‘In the Mood.’ Sarah Carter informed us that July 6 was actually the date that camp opened, so it could not have been more perfect to be celebrating tonight! It made us all reflect on how many stories Rockbrook really holds. 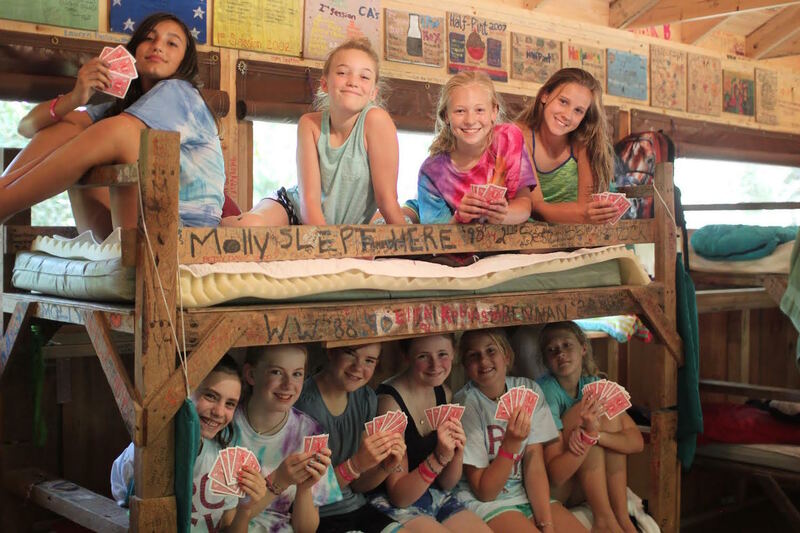 All of the girls who have called this camp home have found friends, have their own favorite spots, have their own stories and special memories that have gotten us to where we are now. It is special to be a part of something bigger than we are. 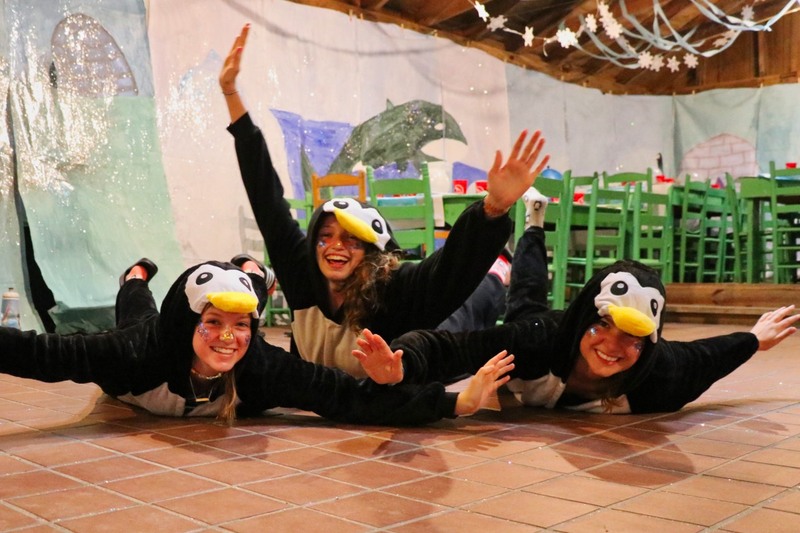 Following dinner, full session campers signed up for activities and attended evening program as usual, excited to stay in the mountains and continue growing their friendships. Mini session campers gathered together at the Spirit Fire and reflected on the session as a group. Spirit fire is a tradition as old as the camp itself. It is a time to sing old camp songs, and a time for every line to speak about their love of camp. The speeches last night were particularly moving. Some girls talked about the peace they felt when they were at camp, some talked about a true sense of home. All mentioned the friendships they had cultivated in such a short amount of time, and how special camp friends are. As we walked around the lake holding candles lit from the spirit fire, most girls needed to get their candles relit. 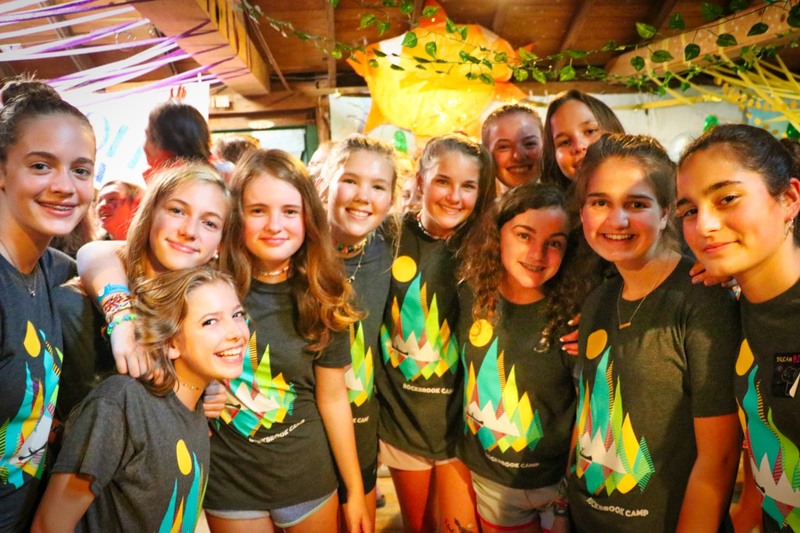 There is a proverb that suggests “a candle loses nothing by lighting another candle,” and as I saw girls leaning over to their friends and asking for some more light, I realized that this was the true purpose of coming to camp. At camp, we light each others’ candles every day through kind words and small deeds. Our entire life becomes simplified, and somehow, we understand that this is all we really need.